Google cloud platform integrates many cloud-based features that help you develop, test and deploy apps, simply and rapidly. Built on a scalable, flexible and highly reliable infrastructure, Google cloud platform provides the perfect distributed computing environment to build all types of apps (web-based, mobile, ecommerce, big data, gaming...) for Android, iOS, web and mobile devices. The same infrastructure that lets Google process billions of search queries results in fractions of seconds, deliver over 6 billion hours of video each month on Youtube and satisfy over 400 million of mail users every day, can fatihfully serve your business as well. Amoeba Networks is a Google Apps Authorized Partner because we believe in their products and Google believes in our ability to implement them for your greater benefits. Our advice: if you're going to make the transition to Google, go all the way. No matter what you decide, educate your users beforehand. Raise the topic at your next all-hands meeting if possible. And remember: we don't "sell" the cloud. Let's talk! 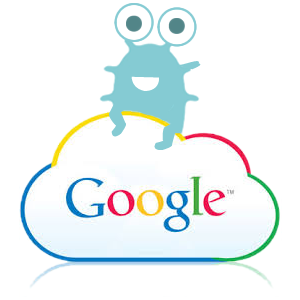 Ready to switch to Google Cloud Platform? AMOEBA deliver cost-effective IT solutions for New York and Seattle, WA based businesses, including start-ups, non-profit, financial firms, managed surveillance & voIP providers and others.